Reverse osmosis and nanofiltration are often spoken about in unison as they are similar membrane technologies that solve a variety of process separation and filtration needs. 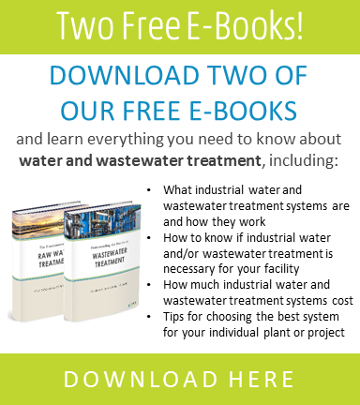 The two technologies are being utilized more and more by industrial facilities looking to recycle and treat water for reuse and conservation. As water scarcity issues continue to increase, these technologies have become a long-term economical solution for avoiding astronomical discharge and water-usage fees in addition to serving other filtration requirements, such as process-water generation and product concentration. If you are looking for a separation and/or filtration solution, you might be thinking RO/NF is a good fit. But what are reverse osmosis and nanofiltration, exactly, and how do they work? RO is also the reverse process of osmosis, a phenomenon that occurs naturally when a lower-solute stream (with a higher-water concentration) migrates toward a higher-solute stream (with a lower-water concentration) through a semipermeable membrane to achieve concentrate equilibrium. Nanofiltration, however, delivers slightly coarser filtration than RO, with the ability to remove particles as small as 0.002 to 0.005 μm in diameter, including pesticide compounds and organic macromolecules, while retaining minerals that RO would otherwise remove. Nanofiltration membranes are capable of removing larger divalent ions such as calcium sulfate, while allowing smaller monovalent ions such as sodium chloride to pass through. As mentioned above, RO is the reverse of osmosis, which is a passive, naturally occurring process that happens without the use of energy. For example, if you were to place a semipermeable membrane in a tub of water then add salt to one side, the water would naturally migrate from the side without salt to the side of the semipermeable membrane where you added the salt to dilute the concentrated, salt-contaminated liquid until the two sides were equally dilute. You would end up with one side having a higher level of water, creating what is known as osmotic pressure. RO and NF function similarly, the difference being what size particulates are being filtered out. With RO/NF, since you are removing contaminants from a high-solute liquid stream, energy larger than the naturally occurring osmotic pressure must be applied to force the solvent from the (highly concentrated solution) through the semipermeable membrane in the opposite direction than what would occur naturally and without force. 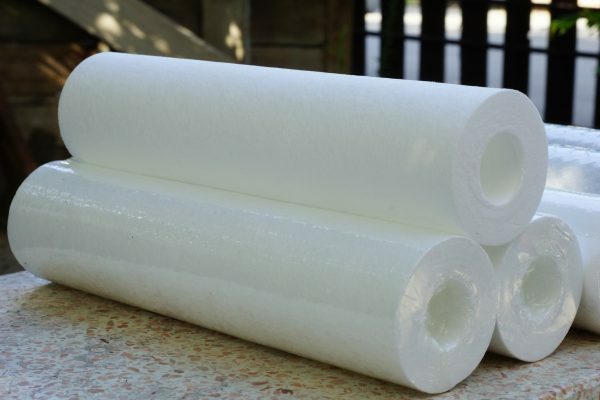 This causes the permeate to pass through the semipermeable membrane while trapping and filtering out any contaminates larger than the pure water that passes through to the lower-pressure side. The pressure required to push the solvent through the semipermeable membrane depends on the concentrate of solids. The more concentrated the stream is, the more pressure you need to apply to overcome the osmotic pressure and force the permeate (filtered water) through. This leaves you with a highly concentrated reject stream that is either used or discarded, depending on the separation/concentration needs of the facility.